Reaching a population of just about fifteen thousand people, the neighborhood of Edgewater is located northwards downtown and south of the Upper East Side. Predominantly a residential neighborhood, it is dotted with high-rise towards that line the east of Biscayne Bay. Filled with many twentieth century homes that hint at the long history this neighborhood has had in the development of Miami’s past. Demographically the neighborhood’s racial makeup is predominantly Latino and Hispanic, reaching at nearly sixty percent density in the area, with twenty percent Caucasian and seventeen percent Black. This shows just how diverse the neighborhood is, and how it will continue to grow in the years to come. There are always downsides to popularity, and there is little exception in the ever-developing neighborhood of Edgewater. All the heavy industrialization leads to packed roads, blocked off traffic lanes, and dangerous and hazardous construction that can very well lead to one of the most feared instances in a normal Floridian’s daily life, a car accident. That is why it is important to know who to call when such a traumatic incident occurs in your daily life. 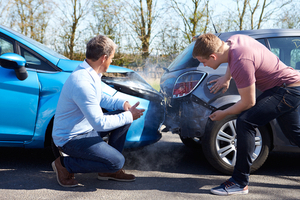 The Edgewater car accident attorneys at Wolfson Law Firm are here to help you in your time of need and are only a toll-free call away from getting you the information you need. Calling them at (305) 285-1115 will not only give you peace of mind, it will also allow you to understand the steps necessary in taking your life back from the horrendous circumstances you’ve found yourself in. Mr. Jonah Wolfson and his team have been helping the people of South Florida for decades, and you should not be the exception. They have served communities in the Florida Keys, Doral, Broward, Coral Gables, Fort Lauderdale, Hollywood, Miami Springs and more. This tremendous amount of time serving clients with car accident and wrongful death casesmakes them the perfect candidate in trying to solve your problem. Help yourself in getting your life back on track, call us today at (305) 285-1115 for a free consultation, our bilingual personal injury and wrongful death attorneys are standing by to ensure you’re given the proper respect and care that you deserve. Mr. Jonah Wolfson, the managing attorney himself is ready to speak to you regarding what benefits and rights you may have. What matters is that you’ve been hurt and require compensation. We are here and we can assist you in your pursuit of fair compensation.